The OpenStack Foundation is moving into a new stage. Known for its community-style development of open-source building-blocks for cloud infrastructure, the organization has realized it must change the way it presents the OpenStack platform so that its technology can become more widely adopted. Those changes were made clear at the OpenStack summit, held in Sydney, Australia, Nov. 5-8, 2017 – following on earlier OpenStack conferences in Boston, Austin, Vancouver and Barcelona. We think OpenStack’s new agenda reflects the increasing maturity of OpenStack – now in its seventh year of linking open-source building-blocks for cloud infrastructure. Foundation executives and project leads showed that the OpenStack cloud building-blocks need to be placed into context for OpenStack to gain wider adoption. To that end, the OpenStack Foundation released a new map – a chart of building blocks – showing the dozens of projects that it is managing. The core OpenStack projects – including Nova for compute, Cinder for block storage and Neutron for networking – are highlighted in bold type on the map. They are also the most widely adopted OpenStack building-blocks, as the foundation’s internal surveys of customers show. The bottom line: Innovation is being encouraged, but the overall plan is to join some of the smaller projects together and to simplify communications about the OpenStack landscape, as its technology moves into production in enterprises (private clouds) and CSPs (public clouds). Importantly, OpenStack is beginning a period of interoperability testing to ensure that all of the project’s cloud APIs work well together – and that they can interoperate well with other cloud software stacks. The interoperability testing is essential as customers adopt hybrid clouds and begin a cycle of multi-cloud deployments. OpenStack is often co-deployed with the orchestration software, and with software from Mesos and Cloud Foundry. Examples of OpenStack software with vendor software include: IBM’s cloud software for IaaS (IBM SoftLayer and Blue Mix) and storage-related software development tools (e.g., IBM Spectrum); VMware’s VIO for virtualized environments of vSphere and VSAN that are migrating to the cloud; and Red Hat’s cloud management stack (RHEL, RHEV, RHOS, OpenShift), among others. We believe that choice is central to the OpenStack value proposition – and that choice must be maintained by the OpenStack Foundation. Interoperability is very different from integration – although testing is required for both. Customers who are building private clouds, and CSPs that are building public clouds have the option to select any of these building blocks – and they will continue to do so. Large customers, including AT&T, Verizon, web commerce giants Tencent and eBay; CitiBank and Australia’s Commercial Bank; Overstock.com and WalMart are high-profile OpenStack customers. Many of these customers have built their own software modules for cloud – and some have open-sourced these “glue-ware” cloud software modules for wider use (e.g., AT&T and its Helm open-source module). Smaller organizations, including SMBs, will look to OpenStack to provide pre-tested modules, and to the OpenStack community to support new use-cases. Importantly, OpenStack offerings are increasingly being deployed within enterprises, where stability, performance and scalability of cloud software is highly prized. 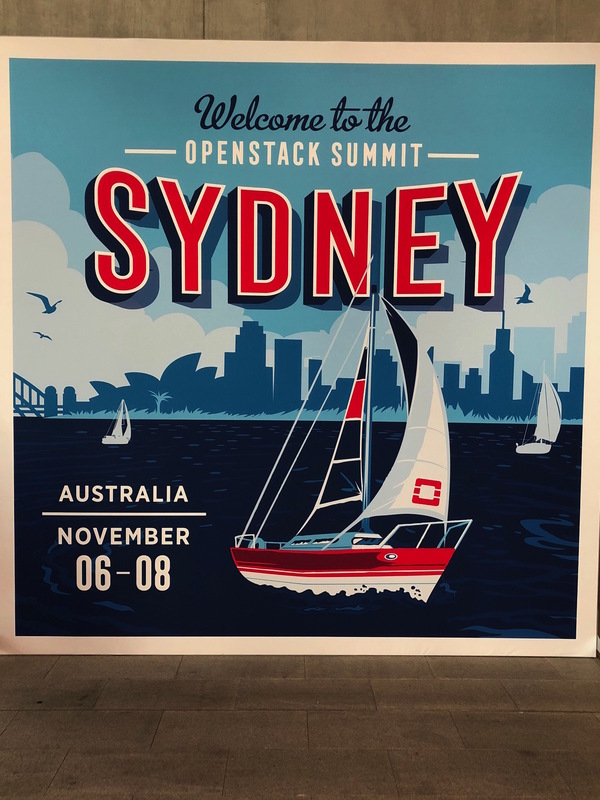 That means that enterprise customers and CSPs are driving much of the change we’re seeing in OpenStack Foundation messages at the Sydney conference. Prioritization of stability, performance and standard APIs. These requirements reflect adoption of cloud technology for enterprise and production workloads. AT&T, Comcast, eBay, and Verizon have all adopted OpenStack for their clouds and cloud services deployments. Integration and pre-testing of software tools. This end-to-end interoperability testing will including “glueware” that is being open-sourced by large OpenStack customers that developed custom software in-house. Ease of use for OpenStack technologies for cloud operations. This will allow the inclusion of more types of personnel “roles” in deploying, managing and updating cloud software. Specifications for telecom companies. Telecom and carriers in the U.S., EMEA and Asia/Pacific have adopted OpenStack to build their 5G networks and “edge” computing clouds – reaching all the way to the edge of the network. These include strong support for NFV and advanced networking. Requests from Web-scale companies. Web-scale and hyperscale companies in the U.S. and China have deep experience with OpenStack software to support many of the largest clouds in the world. Tencent in China has adopted OpenStack for its WeChat ecommerce platform. Support for small- and medium-size customers. More SMBs are deploying workloads into the public cloud, and would like to leverage pre-integrated, pre-tested OpenStack building blocks as they link their on-prem computer operations with off-prem public clouds. We note here the OpenStack organization’s drive to integrate functionality with other leading types of cloud-building software, including containers, orchestration software, and management solutions. In past years, the focus was on the rapidly growing number of community projects that surrounded core OpenStack components, such as Nova, Neutron, and Cinder. Many of the non-core projects will continue, and some will consolidate for the sake of efficiency, because OpenStack Foundation working to simplify the operational environment for customers. Break-out sessions at the OpenStack Sydney summit showed why these priorities are emerging. As more OpenStack deployments move into production, customers said that traditional IT concerns about security, availability, scalability and manageability are becoming more urgent. Translation: The age of innovation will have to be supplemented by an era of pragmatism in OpenStack cloud deployments. Overstock.com is a case-in-point: It is running five production clouds that, taken together, run 800+ applications. Overstock plans to continue to build on OpenStack software, given its open-source community development model, and the flexibility for extending functions into the cloud. Overstock is also continuing to enhance the clouds it already has, looking for faster performance in a highly competitive consumer-goods business. AT&T and Verizon are two more examples of widely deployed OpenStack-based clouds. Both of these large carrier companies are looking to scale up the clouds to provide more services to more end-customers. Their challenge: to keep scaling up, reaching the “edge” of the network, while maintaining quality-of-service to end-customers, who value stability and reliability from their network providers. Both AT&T and Verizon made clear that they will continue to leverage OpenStack for cloud development and deployment – and both will support the next phase of interoperability testing as they deliver 5G and “edge” cloud computing worldwide. Hi Jean, Really enjoyed your detailed post. Its good that OpenStack Foundation has changed itself to become more acceptable for its users.